The Yarmouth Music Society is a registered non-profit society formed in 1998 with a goal of securing a concert-quality grand piano for the community. 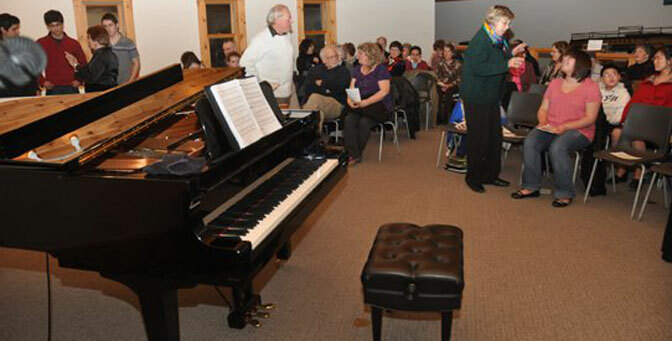 A 7-foot Yamaha concert grand piano was purchased in 2006 and is used by the community for: scheduled music events for students of area teachers; solo recital opportunities for intermediate and advanced students; educational workshops and master classes; concerts with visiting professional musicians. The piano is housed in the education room at the Yarmouth County Museum. The society is responsible for the costs of maintaining the piano. Its primary source of funding is through membership. Membership in the society is open to anyone with an interest in music. Dues are $25 a year. Use of the piano is coordinated by the president of the society, and is subject to the education wing being available for use. While the piano is free for members who want to use it, there is a small fee for non-members or other groups. Depending on the purpose, the museum charges a fee to use the education wing.